Twin Cities residents are spoiled for choice with two major orchestras in town: the St. Paul Chamber Orchestra (SPCO), which specializes in works written for smaller ensembles, and the Minnesota Orchestra, specializing in big orchestral works with a big sound. Both of them play on a very high level, allowing them to invite some of the world’s greatest soloists to play with them and some of the world’s greatest composers to write for them. Here are 13 concerts (or concert series) in the 2017 and 2018 seasons that may interest the geeky classical music lover. The SPCO has a set of three concerts at the Icehouse in St. Paul, and the price of the ticket includes a drink (wine, beer, craft cocktail, or craft nonalcoholic beverage) of your choice. Each concert is chamber music—meaning played by ensembles as small as two people—and there is some wonderfully accessible music on the docket, including a piece by jazz master Wynton Marsalis. The series tickets are sold out, but individual tickets are still available for all three concerts. The Liquid Music series is the SPCO’s contemporary and avant-garde music series. 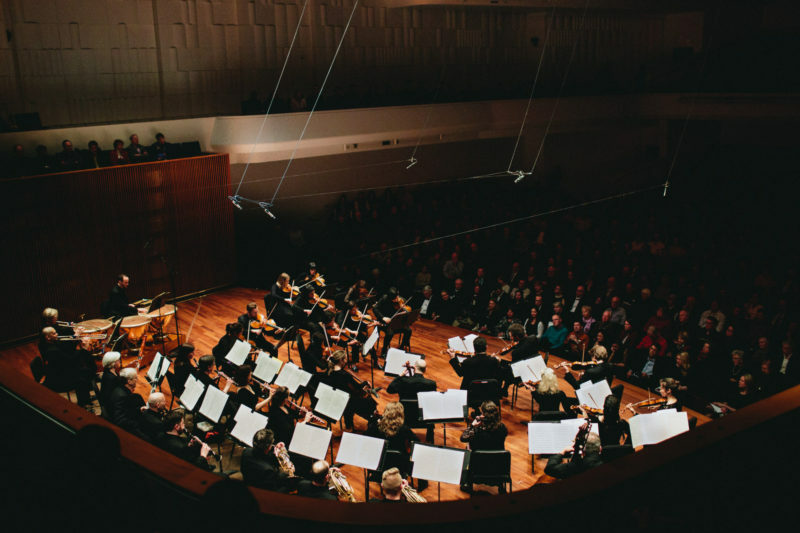 It includes groundbreaking contemporary works that combine classical music with other artistic forms—including visual arts, electronics, improvisation, world music, and popular music. Geeky readers will probably be most interested in the first concert in the series, performed at the Walker Art Museum with a multimedia element, or the one next April featuring Tu Dance and music by Bon Iver. Next March, the SPCO will host a series of concerts with the theme of “[t]rue stories and personal histories told through music.” These stories—which the organization chose as ones they felt would resonate with the Twin Cities community—include themes as diverse as Haitian women and coal miners in Appalachia. Of specific interest might be the concert entitled Strong Sisters, which will feature composers such as Hildegard von Bingen and Dame Gillian Whitehead, who is of Maori heritage. Geeks looking for a slightly more traditional concert experience might enjoy this set of concerts over Thanksgiving weekend. The SPCO is performing a group of pieces by American composers; and while Appalachian Spring will be the most well-known, the rest will be accessible as well. William Bolcom’s Graceful Ghost Rag should delight everyone, and Gershwin’s Walking the Dog is classic Gershwin. 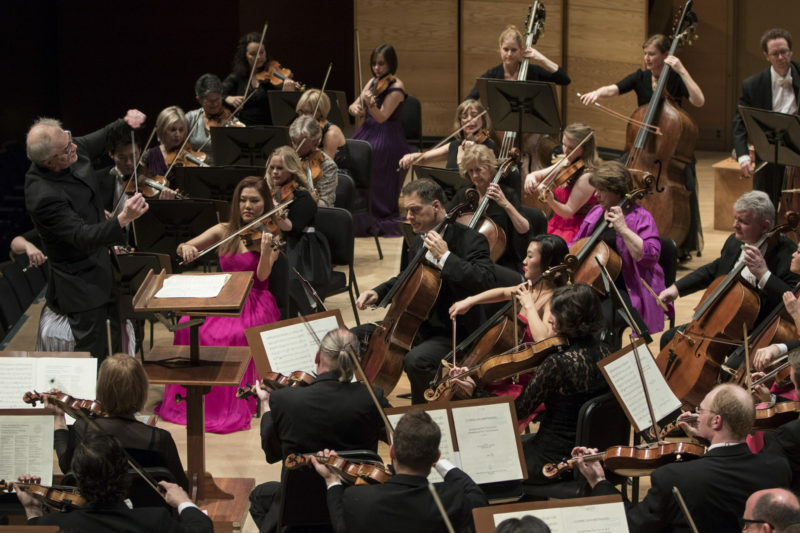 Those who read my earlier review of the Minnesota Orchestra performing the Sinfonia Concertante—a concerto for violin and viola—should be happy to know that the piece is reappearing in the Twin Cities this season. It’s paired with a contemporary piece by a Greek composer, with themes of Greek poetry reflecting the turbulence in the world. Those geeks interested in folk music may want to attend this concert featuring several works that have the classically trained SPCO musicians fiddling. The concert will start with Britten’s Simple Symphony—familiar to many high school string players—and end with Copland’s “Hoe-Down” from Rodeo, which should be familiar to everyone. The Minnesota Orchestra starts off the season with a geeky bang. The first concert features Stravinsky’s Firebird Suite; the last part of which was featured in Fantasia 2000. The other works are equally evocative, including John Adams’s Short Ride on a Fast Machine—a piece that exploits minimalist techniques in the best possible way to evoke. . .well, exactly what it says on the tin. The Minnesota Orchestra will be performing several free concerts this year at local breweries, starting with one at the Wicked Wort Brewing Company in Robbinsdale. As these concerts are free—and breweries generally have limited space—it’s probably worth planning to get there quite a bit in advance. The Wicked Wort Brewing Company has planned for that, and the DJ will be spinning classical tunes before the concert starts. Last year I had the opportunity to review one of these concerts that featured the first Harry Potter movie with the score performed live. The Minnesota Orchestra is doing several of those concerts this upcoming season—including Raiders of the Lost Ark and Harry Potter and the Chamber of Secrets. These are more events than concerts, so dress up and enjoy the spectacle! For geeks looking for programmatic music (music that tells a story), look no further than this concert featuring Dukat’s Sorcerer’s Apprentice—most famously known from Disney’s original Fantasia—and Rimsky-Korsakoff’s Scheherazade, based on One Thousand and One Nights. The concert ends with Brahms’s Symphony No. 4, which is big, lush, and very accessible as well. The actor who originated the role of Aaron Burr (sir) in Lin-Manuel Miranda’s smash hit Hamilton likely needs no introduction. He’s coming to the Twin Cities for one night only in November to seduce us with Broadway and jazz hits in his velvety voice. Rachmaninoff’s infamous Piano Concerto No. 3 and Respighi’s Fountains of Rome anchor this concert, which also features Debussy’s gentle suite La Mer and Lyadov’s wonderfully evocative The Enchanted Lake. It should be a mixture of new and lesser-known pieces, and is a good choice for those looking to somewhat expand their knowledge of classical music. Cameron Carpenter designed his own electric organ—and it’s loud, so bring earplugs to this concert! He’ll be playing another piece by Rachmaninoff, the Rhapsody on a Theme by Paganini, and it should be an awesome spectacle. The concert will end with Shostakovich’s martial Symphony No. 5; which fans of video game and movie music might recognize some themes from that composers have borrowed for battle scenes. Which concerts are you interested in? Leave your answer in the comments! Stephanie plays too many instruments, writes too many words, and wears too many hats at CONvergence. She’s glad to finally be putting her undergrad music-history degree work to use.